The enchanting Finding Neverland is truly made of the stuff of stars! The cast celebrated 500 performances at the Lunt-Fontanne Theatre on June 28. 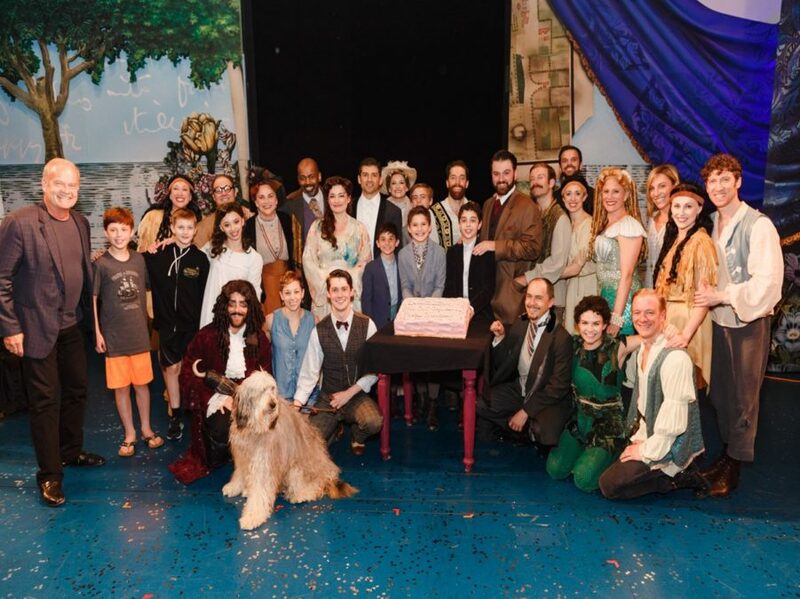 The Broadway.com Audience Choice Award-winning musical opened on March 15, 2015 and currently stars stage faves Tony Yazbeck and Laura Michelle Kelly, both of whom were on tap to enjoy some cake at the celebration; Tony winner Kelsey Grammer, who originated the swashbuckling role of Charles Frohman, also made an appearance. Cake, a smiley cast and an adorable dog? Sounds like a fab party to us! Be sure to catch Finding Neverland through August 21, and stay tuned on Broadway.com for updates on the tuner that has turned the Great White Way upside down; plans for the musical to land back on the Main Stem are already in the works, as are productions across the world and a movie adaptation.